MIAMI (CBS4) ― HOA troubles run almost as rampant as the amount of new condos being built in Miami. Yesenia Suarez and her husband feared the worst when the man from the bank showed up at their door earlier this year. The man gave Suarez and her husband ten days to pack up their two children and all their belongings, and move out of their condo at Enclave at Miramar. "At this moment I really don't have anywhere to go," she said, adding that her first thought was, "Where am I gonna go with my family?" 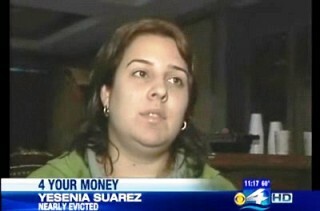 Suarez said she and her husband paid their rent each month. 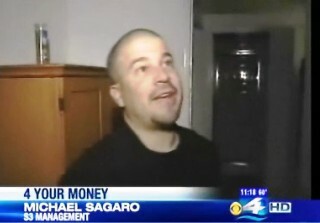 However, she said apparently their landlord wasn't turning that money over to the bank to pay the mortgage. The bank foreclosed on the property and prepared to evict the Suarez family. But Suarez found help with a phone call to the Enclave at Miramar offices. That's where Michael Sagaro and his company, S3 Management, stepped in. Sagaro said in some cases South Florida judges are choosing court-appointed receivers, like S3 Management, to take over troubled condominium and homeowner's associations. "We come in and get the place back up to livable conditions," Sagaro said. Another goal, Sagaro said, is to restore the depleted cash reserves of the association. The foreclosure crisis is crippling many condominium and homeowner's associations throughout South Florida. When an owner falls into foreclosure, they not only stop paying their mortgage. Oftentimes, they stop paying their monthly maintenance fees also. For some associations that means bills for services do not get paid. It also means other unit owners who do pay get hit with higher fees and special assessments to keep the association running. "Out of 340 units (at Enclave at Miramar) you have 180 not paying," Sagaro said. "So that means the budget's not being paid each month. The water bill's not getting paid. The lawn's not getting paid. The pool's not getting paid." Sagaro says his company is overseeing associations in Broward, Miami-Dade, Palm Beach and Collier counties. 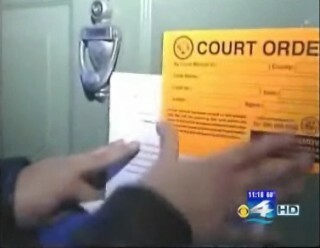 Here's what they do: Once a judge appoints S3 receiver, they slap a court order sticker on the door of delinquent owners who are not paying their monthly fees. Sagaro and his team change the locks on the door, inspect the apartment and take photographs of the unit to document what the place looks like. Usually, the place is left a mess. "Most of the people left their furniture, left the property pretty much to rot," Sagaro told CBS4's Carey Codd. In one unit that had been abandoned for at least 3 months, we saw a fridge full of food, a television in the kitchen and a set of bunk beds in a bedroom. S3 fixes up the units and hires a realtor to rent the places out to existing renters, like the Suarez family, or new tenants. Sagaro said the bulk of the rent payments go straight into the condo or HOA reserves. "For every tenant we keep inside, that's income that immediately goes to the association's past dues,"
Sagaro explained. "And every month of rent covers four past due HOA payments." Part of the reason the situation gets this bad, Sagaro said, is many banks do not pay association dues as they are supposed to once a foreclosure action is completed. "The bank doesn't want to foreclose on them because they're responsible to pay the past due HOA and taxes," Sagaro said. "So the banks keep delaying the foreclosure for the same purpose." Another tactic S3 is using is suing banks who take ownership of a property after foreclosure and do not pay the required 6 months of maintenance fees. In Yesenia Suarez's case, the bank did foreclose. She was able to negotiate a new lease and keep a roof over her and her family's heads. "It's perfect," Suarez said. "At least I know I'm gonna be stable with my family for a year."